Medical billing and coding jobs from home are not always scams, like stuffing envelopes, but you have to be very careful of these "opportunities." The people do work from home as medical billers usually have in-office experience and training, and they must build their home businesses over time, not receive it in a kit or software package. Ads offering turnkey medical billing businesses are usually misleading, if not downright false. The claim is that doctors will buy your services as a medical biller (even if you have no experience), and the company selling you the medical billing business will help you find clients. You must pay for the software, training and technical support. Few consumers who purchase a medical billing business opportunity are able to find clients, start a business and generate revenues - let alone recover their investment and earn a substantial income. Competition in the medical billing market is fierce and revolves around a number of large and well-established firms. 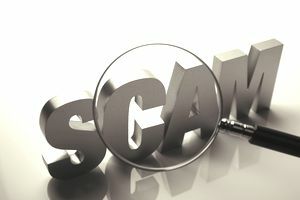 Another thing to look out for is bogus medical billing training opportunities. Unlike medical coding, certification is not required but you can't learn medical billing from online training from home. It takes experience, which is almost always gained in an office setting. Promises you will make money right away. Home businesses take time to build. The jobs on this list of legitimate medical coding jobs from home all require experience and certification for coders. These companies may also hire experienced billers to work from home.